FLASH SALE! 5 days of 50% off Ziza Master LED kits and Free Shipping! 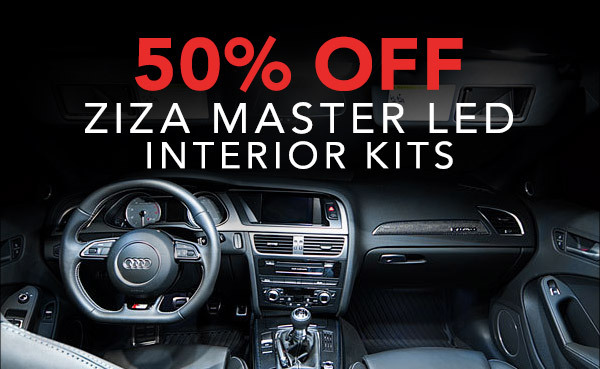 From NOW until March 9th, 2018 enjoy 50% off Ziza Master Interior LED kits and FREE SHIPPING!!! Don't forget to save on bright clean modern LED lighting! Tic Toc Sale ends in a few hours! Quick Reply: FLASH SALE! 5 days of 50% off Ziza Master LED kits and Free Shipping!